Losing data in these situations is difficult to restore. This can be done by data recovery process. Different types ofdata recovery software are available in the market. Such recovery software allows users to restore their lost data and files. Most of the deleted files and data from the storage by can be recovered by using such recovery software. 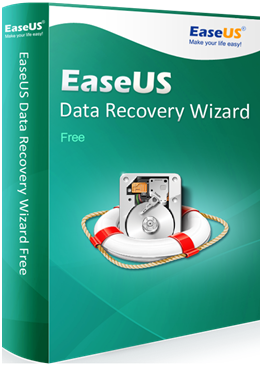 One of the powerful data recovery tools is the EaseUS data recovery software. This software provides extensive data recovery functions which allow users to recover data easily. This is free data recovery software. Not like typical recovery programs, EaseUS is easy to use and one can recover files in a simple manner. That is the user has to do simple clicks to restore his or her lost data. The scan modes, preview feature, extensive language support and both Windows and Mac OS support are some of the features of EaseUS. EaseUS data recovery software has an attractive interface which allows a quick data recovery process. It saves the time of the user more as it involves simple clicks to recover files. The initial step is users have to select the storage location where they lost their data. Choose the location where the data loss occurs and initiate your search. After selecting the storage location, users have to decide the scan modes. There are two types of scan modes in EaseUS namely quick scan and deep scan. Quick scan mode is the initial and fastest scan process. If you want to scan the system quickly choose quick scan. The other scan mode is the deep scan which scans the system thoroughly. If you want a deep scan into the system choose deep scan which is useful to recover deleted files entirely. Finally, users have to select what they want to recover from recoverable files which are displayed in the preview section. By using this, users can recover everything they need. In this, users can import and export their scan results into some other storage devices. Also, they can pause and resume their recovery process.